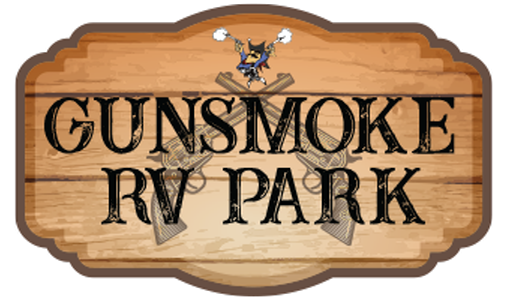 Gunsmoke RV Park is located on the West side of Dodge City, KS. The park has a country feel with a tribute to it's namesake - the TV show, Gunsmoke. Whether you would like to stay up front close to the swimming pool or prefer the back of our park away from everything, we have a great place for you to stay! If you're coming to explore the rich history of Dodge City or if you just want to kick back and relax, we'll do our best to make your visit enjoyable. We offer a 10% discount to seniors, military and Good Sam Members. Limit one discount per reservation. Discounts cannot be combined. Pricing is for 2 people. Additional people and children over age 6 are $2 each. IMPORTANT: This park is gated. Due to the nature of our park and out of respect for fellow campers, we do not accommodate late check-ins. Please do not make a reservation to arrive after hours without calling the office first at 620-227-8247. Kick back in one of these nice, spacious full hook-up, pull thru sites that can accommodate units up to 40' long with your choice of 20 or 30 AMP service. Note: To insure the needs of all guests can be accommodated, your site will be assigned upon arrival. A confirmation email will be sent once the reservation is completed. Sprawl out in Dodge City in one of these full-hook-up sites that accommodate units up to 38' long with a choice of 20 or 30 AMP service. Perfect for motorhomes towing as well as big 5th wheels or horse trailers. Sites are up to 80' long, full hook-up, pull-thru with a choice of 30 or 50 AMP service. Sprawl out in these full-hook-up sites that accomodate motorized units up to 40'long with a choice of 20 or 30 AMP service. Perfect situation for units up to 25 feet long. Full-hook-ups and coupled with a choice of 20 or 30 AMP service. Studio with double bed, bunk bed and AC. Your own bedding is required. Sleeps 2 adults and 2 children. Premium Big Rig Back-in site is a long back-in site that accommodates a unit up to 45’ long with room to park a vehicle next to your rig. Your door will open to a spacious grassy area with a choice of 30 or 50 AMP service. You can relax in these spacious sites designed for smaller untis. They are full hook-up with a choice of 20, 30 and 50 amp service and they will accomodate travel trailers and fifth wheels up to 30' long or motorhomes up to to 40' long. 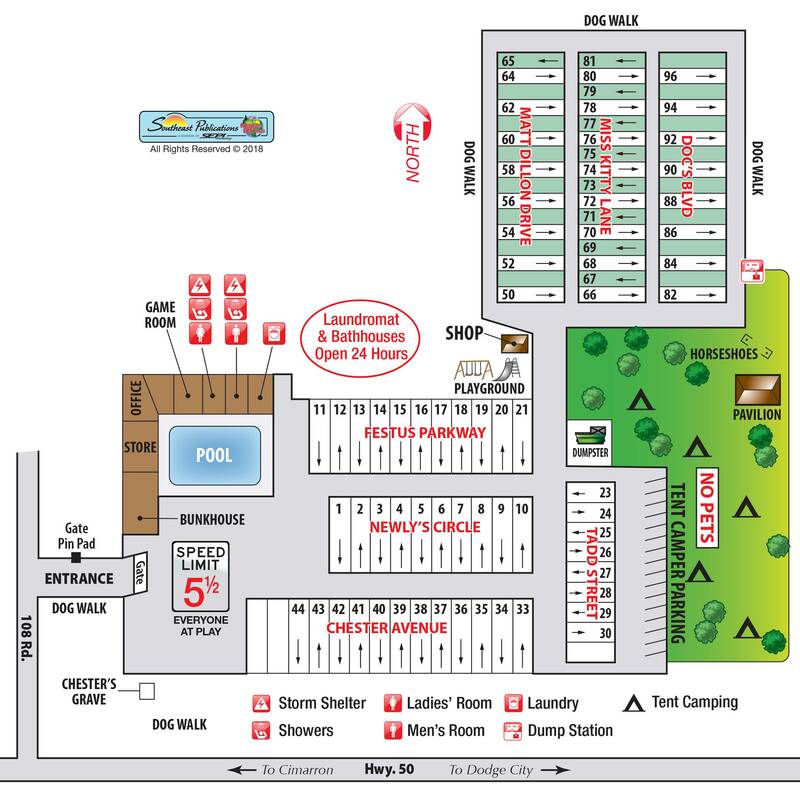 Enjoy Dodge Wild West Style in one of our primitive tent camps. Please call 620-227-8247 to learn about last minute availability.